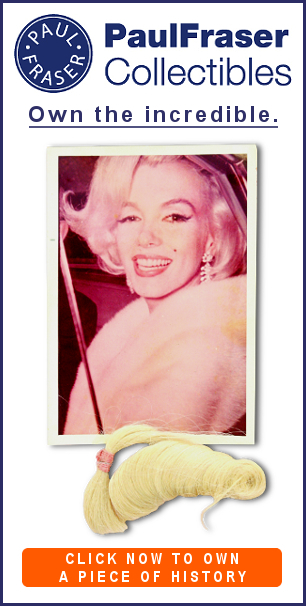 A U.S passport owned by boxing legend Muhammad Ali will be offered for sale at Bonhams next month. The passport covers a vital period in Ali’s career, as he sought to regain his World Heavyweight title following his defeat to Joe Frazier in the 1971 ‘Fight of the Century’. It was originally issued to Ali by U.S. Consulate in Dublin on July 19, 1972, the same date as his TKO victory against Alvin Lewis, and was used extensively until March 1974, by which time its 20 pages were filled with visas and entry-exit stamps. Stamps include a visit to Morocco right before Ali’s exhibition fight in Barcelona on August 1, 1972 against Gregorio Peralta, and to Indonesia to fight Rudi Lubbers in Jakarta on October 20, 1973. In between those two bouts Ali suffered just the second defeat of his career, as Ken Norton broke his jaw in San Diego in March 1973, before Ali won the rematch on a close points decision six months later. One of the last stamps in the passport documents Ali’s trip to Venezuela, to witness George Foreman’s demolition of Norton in March 1974. 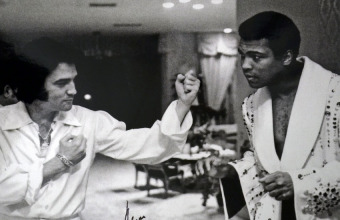 The fight, which became known as the ‘Caracas Caper’, lasted less than two rounds, and set up Ali and Foreman’s ‘Rumble in the Jungle’ championship bout later that year. 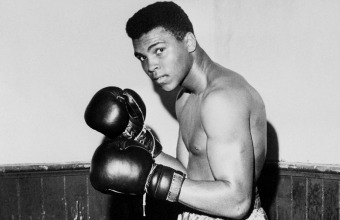 As a rare and personal document tracing Ali’s journey back to the top, the passport is expected to sell for $25,000-$35,000. 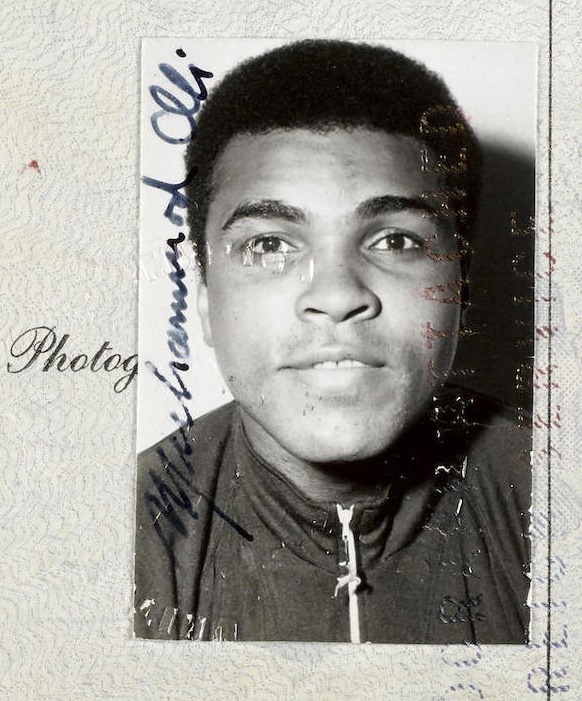 The next passport issued to Ali in June 1974, which covered his historic trips to Zaire for the ‘Rumble in the Jungle’ in October 1974, and to the Philippine capital in 1975 for the ‘Thrilla in Manilla’, sold at Heritage Auctions in 2009 for $53,775. 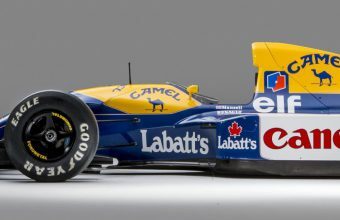 The Bonhams Fine Books and Manuscripts auction takes place in New York on June 8.